Many parts of the athlete’s body are important for performance, such as strong muscles and bones; healthy lungs and heart; and several sensory systems, including the vision, touch, and joint position senses, and the vestibular system for balance. However, the critical element for athletic performance is, "not what you have but how you use it." The organ that decides "how you use it" is the brain. 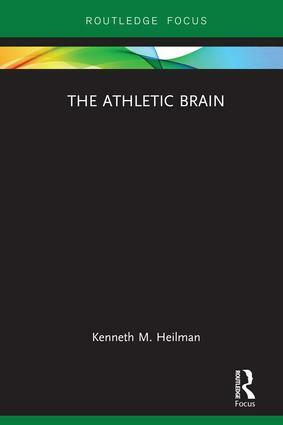 This book explains how the brain allows the athlete to perform. The book starts with an outline of brain anatomy, which is necessary to understand how the brain functions. The book then outlines many critical aspects of the athlete’s brain, including learning motor skills; decision-making; hand preference; visual perception of speed, distance, and direction; balance; emotions and mood. Finally, the book discusses the adverse influence of brain injuries. Kenneth M. Heilman, MD, is currently a Distinguished Professor Emeritus of Neurology at the University of Florida and a Staff Neurologist at the Veterans Affairs Hospital in Gainesville, Florida. In addition to being a clinical neurologist and an educator, he performs research on brain functions and diseases. He has written more than 600 journal articles and authored or edited 16 books. He has received many honors including being an Honorary Member of the American Neurological Association and a Fellow of the Academy of Neurology.